A picture may be worth a thousand words, but a video is worth countless ones. Websites, logos, apps, books, movies and television shows are all judged by the quality of their images. Poor quality images, absence of video or video that has poor production quality reflects badly on your brand. To develop a thriving online presence, you need images that stand out from generic stock photos and video footage that does not look like all the other stock footage videos online. You especially need high quality images and video if you want to boost the effectiveness of your online ordering so you can draw people to your restaurant. 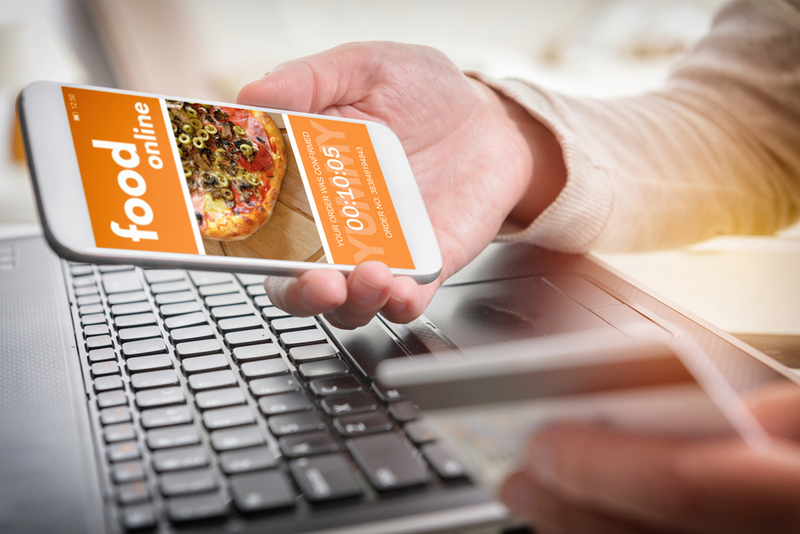 Here are some tips for using good digital imaging and video to make your online ordering system a significant source of revenue. Whether you are refreshing your online ordering system or building it from scratch, avoid using stock photos. 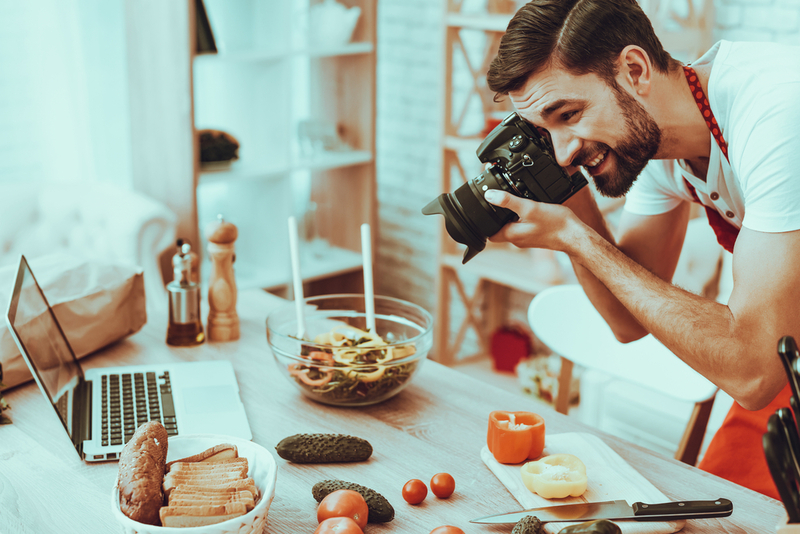 People both consciously and unconsciously remember having seen images before, and using stock photos on your restaurant’s website can easily give people a vague sense of déjà vu, which is not a digital first impression that you want to make. Using all original photography for your online ordering system is critical to establishing yourself as an individual entity that is not like any other place in town. Well curated images of your place, your people and your food are the key to creating a unique space and a unique brand. It is also crucial to designing an attractive and intuitive online ordering system. Good images guide people to what they want while poorly selected or inferior-quality images are a distraction that can lead to fewer repeat orders. Consider hiring a professional photographer with experience photographing restaurants and food and a smart graphic web designer who can help you make sure the images you use have the best effect on your site or in your app. Customers expect to see the food you serve and where you serve it when they visit your website for information, to place an order or to make a reservation. The only other images that should be included are of your kitchen and your staff. Authenticity and honesty are traits everyone looks for when choosing where to eat. Displaying images that show these traits will help create an atmosphere of community and family so people will feel a connection with your restaurant. People are looking for a personal experience when they dine out. Make sure your images make those connections easy. Posting videos on your social media pages regularly is a great way to keep authentic and original content going all year long. Be yourself, invite your staff to be guests on or host a video. 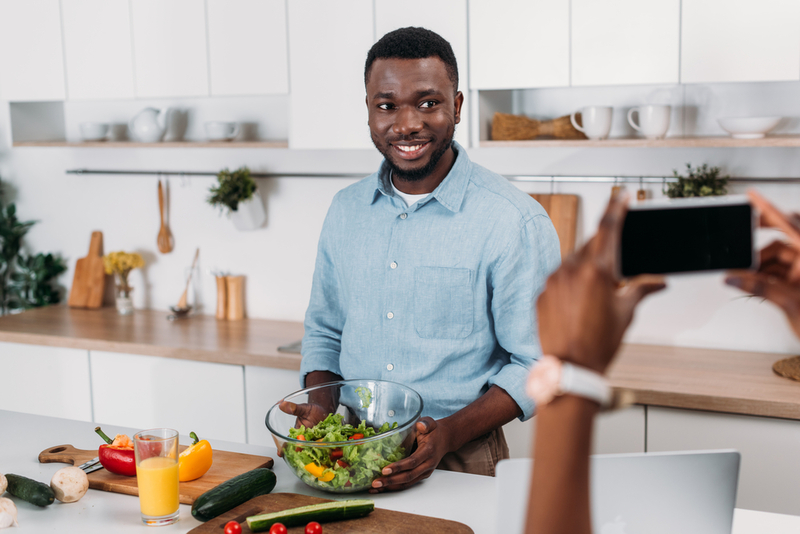 Interview your chef about new dishes or accompany your kitchen staff on a shopping trip for fresh ingredients that will be used at the restaurant. If you are featuring yourself on the videos, then talk about the restaurant business and your inspiration for opening your establishment. Talk about why you offer online ordering and have a customized mobile app. Discuss why you make the food you make, and discuss why your food and service matter to you. Share personal anecdotes that make visitors and followers feel like insiders. Make a content calendar and post at least weekly. Three to five minute videos typically have the greatest impact, so use this general rule when recording takes. Read up on good editing techniques, add text and subtitles, and be sure to keep your introduction and signoff consistent. Consistency of format matters to people, and it helps establish your brand more effectively throughout your video content. Take advantage of local street festivals or other live events by going live on your mobile device and capturing the excitement from your doorstep. Show followers how you celebrate holidays, sporting events and special occasions live in your restaurant. Generate the insider feeling of being there even when they are not able to be there physically. Use live video to offer limited-time promotions and coupon codes. Encourage people to go to your website or mobile app and place an order before the live video ends to get a special price on their meal. This is a great way to give your online ordering a boost and increase revenue and interest at a nominal cost for you. Ultimately, your images and videos are your brand online. Start creating the brand you want through pictures and videos and enjoy the increase in business online and on the premises. If you need help incorporating digital images and videos into your online ordering system, contact Orders2me today.